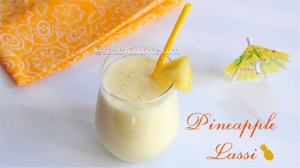 Pineapple lassi as the name sounds new and interesting this variety lassi/ yogurt based drink that tastes super yummy with mixture of tastes like sweetness and sourness. 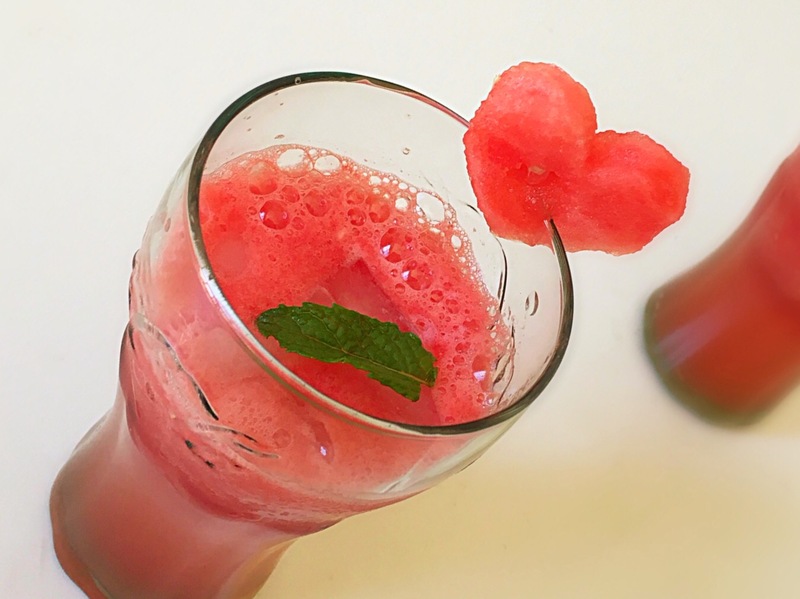 Summer is approaching and we need to be refreshed and energized with lot of beverages, anything healthy that is freshly made and contains no preservative is always good. So any number of combinations tried is good I feel. 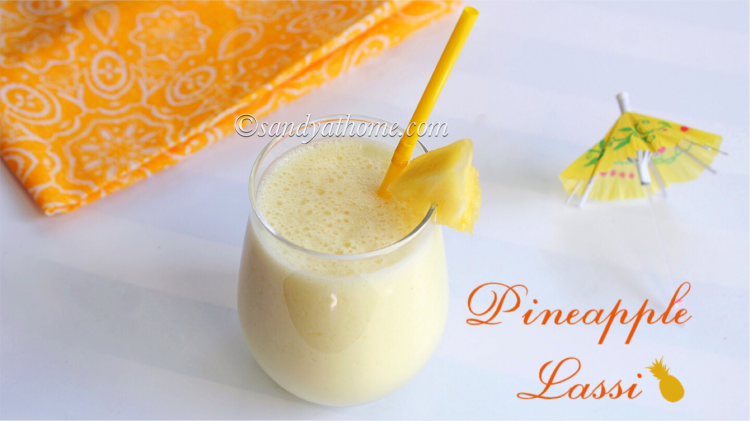 This pineapple lassi can be made in jiffy just any other lassi varieties as it requires just 4 ingredients to quench the thirst. 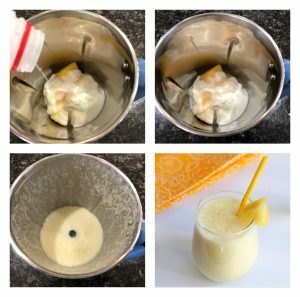 For this recipe I used sugar as I don’t like lassi with honey but if you want it really healthy you can try adding honey skipping sugar. 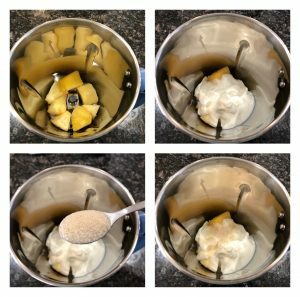 Also adjust the sugar/ honey quantity after tasting the pineapples as they can be sweet to sour. So lets get to the making! 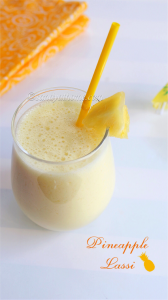 In a blender add pineapple cubes, curd/ dahi and sugar. Now add milk and blend it well until smooth. Now transfer this to a serving cup and relish it!